Research has found drinking from large glasses changes our perceptions of how much we are drinking. It’s been known that eating large plates of food causes you to overeat compared to smaller plates and now researchers have found the same with your glass of wine. Scientists at the University of Cambridge have conducted research into the size of our wine glasses and the amount of wine we drink finding that the bigger the glass we drink out of, the more wine we are likely to drink. 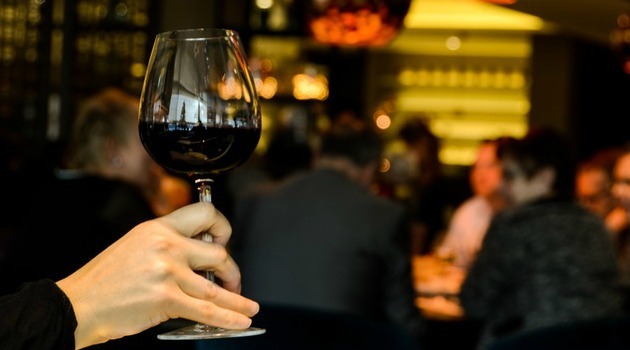 It is thought to be down to drinkers consuming their wine faster and therefore more trips to the bar to order more – our perception of the amount of wine in the glass changing, according to The Telegraph. The study was carried out in a Cambridge bar and restaurant by the Cambridge University team together with Professor Marcus Munafo from the University of Bristol, over a period of 16 weeks with the establishment changing their glass sizes every two weeks – the small 250ml glass, standard 300ml glass and larger 370ml glass. They found that wine sales went up nearly 10 percent when the wine was sold in larger glasses compared to standard size. With the rise of drink-related diseases such as diabetes, liver disease and cancer, this has raised the question of implementing glass sizes as a condition of alcohol licenses in the future. Of course, this could be a way of people regulating the amount of alcohol they consume themselves by consciously drinking out of smaller glasses.